CVW hears from Eclipse Automotive Technology as to why the company believes it is at the forefront of commercial vehicle multi-brand diagnostics. Of the current CV diagnostic tools on the market, Jaltest is the tool of choice for many operators. Working as the official distributor for the UK, Eclipse continues to stand by its commitment to customer support excellence and total product satisfaction for the software. Such customer promises are fulfilled via a combination of Jaltest being a highly capable diagnostic tool, as well as a vehicle and IT support team on hand to always assist. In addition, a fully established training academy and aftersales team provide workshop customers with the confidence that they are being fully supported. Based in the heart of the midlands, the company provides a range of diagnostic solutions for the commercial vehicle and bus and coach sector, as well as off highway, agricultural and trailers. The software is simple to navigate and easy to grasp, and features an extensive database full of wiring diagrams, vehicle and component technical data and more, to assist technicians in fault finding. The software can also be tailored to individual user requirements, such as whether a full package is required, or it is simply needed to cover only specific manufacturers. 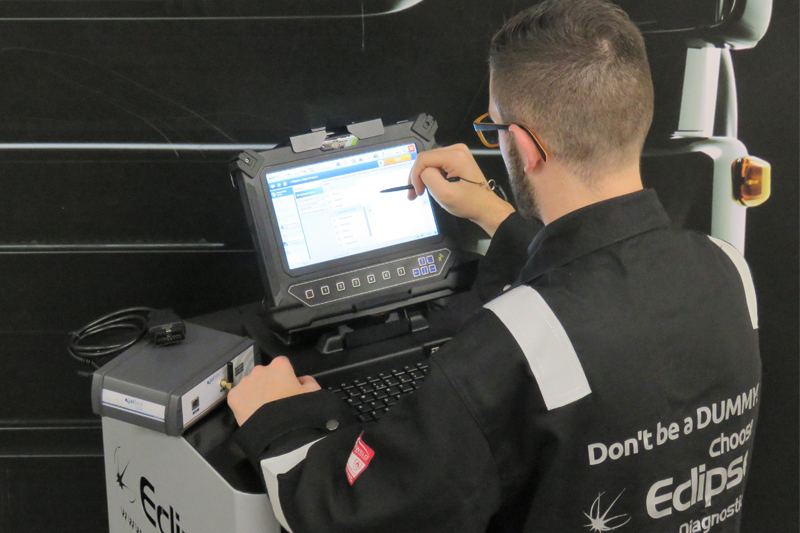 Jaltest runs on the powerful and capable Testpad Extreme PC tablet, supplied by Eclipse, which has been designed to cope with the rugged demands of the workshop and mobile technician environment. The Eclipse relationship with Cojali, the manufacturer of Jaltest in Spain, is a special one; working together as a team to enhance and find new innovations in the multi-brand diagnostic industry. 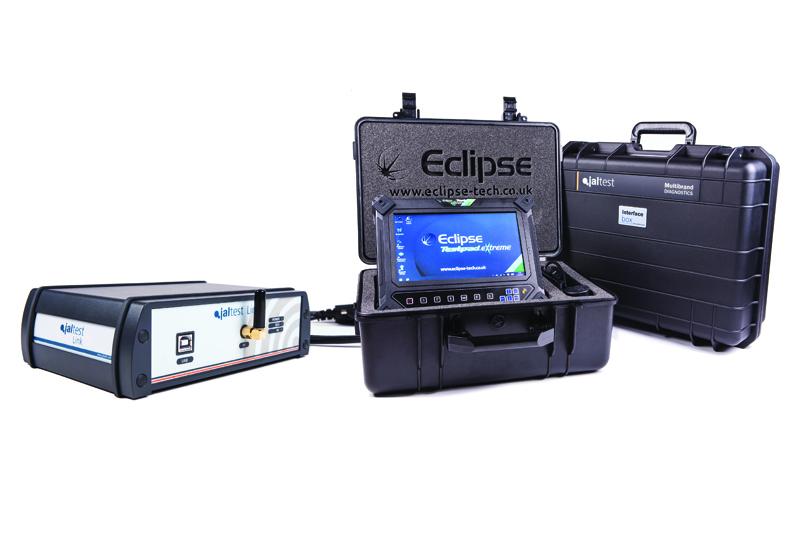 With Eclipse working as the UK distributor, it allows for key information to be shared with software developers and engineers to find solutions and new technologies, making it possible to further close the gap between the aftermarket and the dealerships. The advantages of this relationship are shared by the Eclipse Automotive in-house technical support departments. The team is made up of highly trained vehicle support engineers and IT specialists, who are on-hand to support customers with any vehicle or IT queries; whether it is a simple fault code explanation, a wiring diagram request, advice via a remote internet session, software updates or just simply communication problems. Another valuable part of Eclipse is its in-house training academy, located at its midlands headquarters. Eclipse provides an array of courses, ranging from introductory and beginner, to specialised subjects in AdBlue and a dedicated trailer programme. Students are taught in a fully equipped classroom and workshop area, learning how to get the most out of Jaltest equipment and software via practical scenarios and theoretical tests.